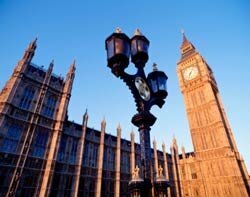 Telecoms providers have become more collaborative, deploying a ‘joined up’ approach for the UK to achieve its super-fast broadband ambitions, an MP and vendors have claimed. Telecoms providers have become more collaborative to work towards superfast broadband, in the UK, an MP and vendors have claimed. Speaking at the eForum event Andrew Miller, MP and joint chairman of the Parliamentary Internet, Communications and Technology Forum, said telecoms firms have moved away from having a strictly competitive approach in order for the UK to achieve superfast broadband coverage. Bill MacKenzie, business unit director at Fujitsu, agreed: “There are lots of parties involved in this endeavour. Arqiva in Wireless, Fuijitsu through its infrastructure, and Alcatel-Lucent. And of course the government and BDUK have a big part to play,” he said referring to the other organisation on the panel. “We now have an opportunity with the right kind of joined up investment to achieve a goal of being ahead of the curve,” said Miller. “We are going to see continual change. The economics of fibre are going to be dependent on demands. We’re not precisely sure what those demands will be yet, but history tells us that demand will be soaked up. We will continue to have that pressure and the challenge to industry is to keep UK plc ahead of the curve. Sean Williams, the group director of strategy policy and portfolio for BT, said at the event that the UK has the potential to have the best broadband in Europe by 2015. “With levering in other resources, I think we will get to a good 90% coverage. Ahead of 2015, I think can get ahead of pack compared with other European countries,” he said. The company said it was half way through its £2.5bn fibre deployment which is due to be complete by 2014. Simon Towler, head of spectrum, broadband and international policy at the Department for Culture Media and Sport said the take up for high-speed broadband was still relatively low, but that the future demands on bandwidth are likely to come from video. “What we can’t say is what is going to drive that requirement [in increased speeds]. But BDUK is ensuring as far as possible that we deal with upgradable solutions,” he said. However, speaking at the same event Rory Stewart, MP for Penrith and The Border, called for the government to quadruple its investment in superfast broadband in order to stimulate the UK’s flagging economy. After us the drought of democracy? Who should the BBC "reflect, represent and serve"? How much of your Adtech audience is for real?